When do want it? BRAINS! This is what I chanted last month during Melbourne’s zombie shuffle around the streets of Melbourne’s CBD with thousands of the undead! 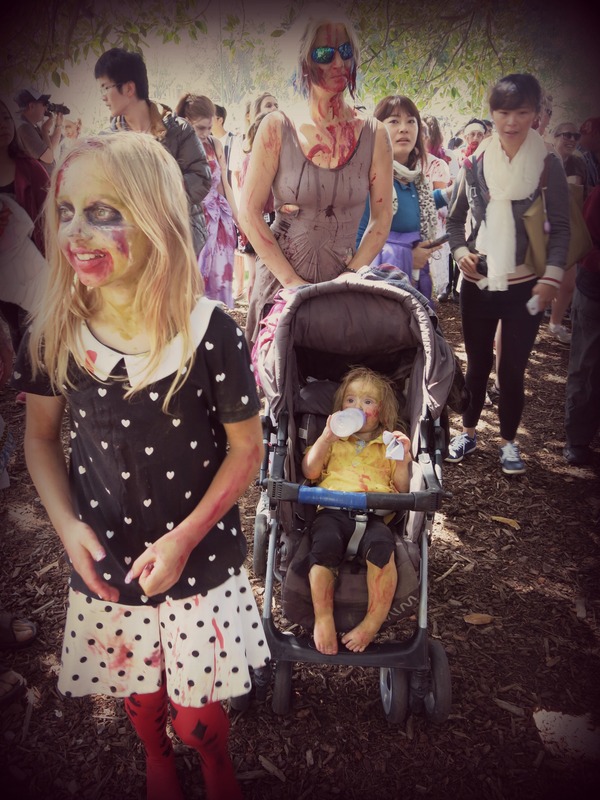 This annual event is Melbourne’s “biggest gathering of the undead” who stop traffic, line up tourists and drip blood all the way from Treasury Gardens to Alexandria Park! So many tourists taking pictures! One of the things I’m finding quite challenging with these 26 new challenges is finding people to come with me to things. For some reason not everyone wants to spend their free time visiting toilets or squirting fake blood on their clothes and face and traipsing round the city in 30+ degree heat. 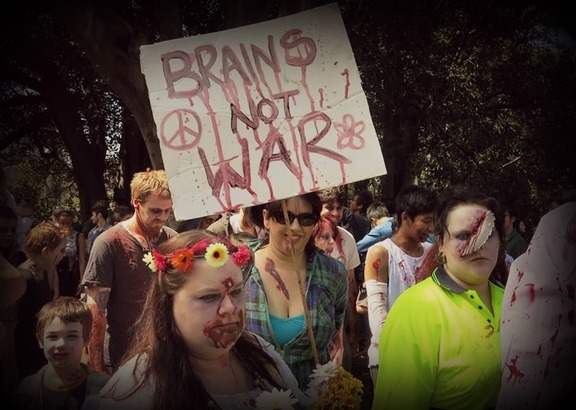 And TBH the idea of the zombie walk wouldn’t normally appeal to me if I had not been doing this challenge. But I’m really glad I am because I really enjoyed it, even Sarah who I managed to persuade to come with me admitted it was even better than she thought it would be! 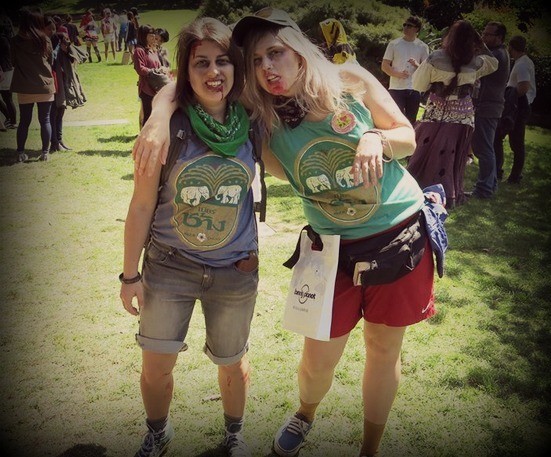 Together we made good use of our travelling gear and became Zombie Tourists! It was also nice to see lots of families. All the kids there really seemed to get into it! When we finished the walk I was trying to google map our way home when I realised we were next to a place called ‘Quidditch Park! After a quick google I realised that the park is aptly named because of the large no. of Quidditch games that are played there. 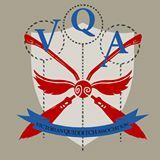 Thus I was enlightened to the world of Victoria Quidditch! Blog post on that coming soon….